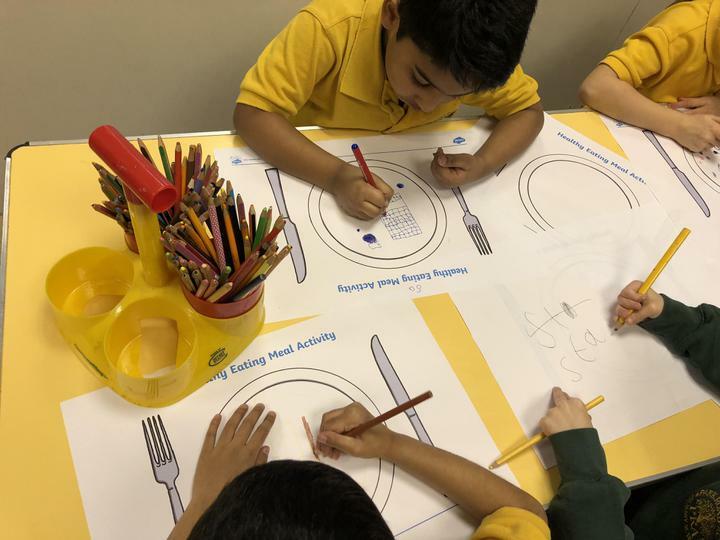 During the Spring term and throughout the beginning of the Summer term KS1 Change 4 Life Club have looked into nutrition and food groups. They have looked at what a healthy meal looks like and what the different food groups do for our bodies and health. 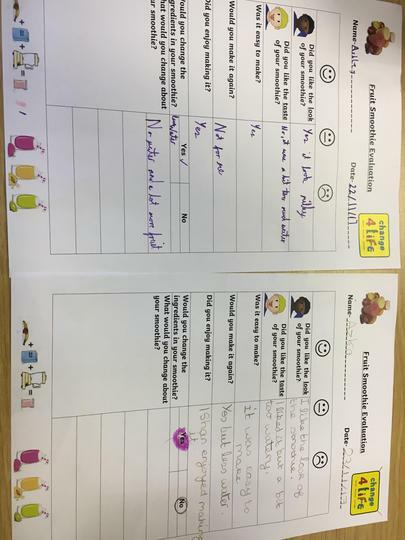 The group have also started looking into sugar and the amount of sugar in our diets and what we can do to cut down when eating snacks or during meal times. 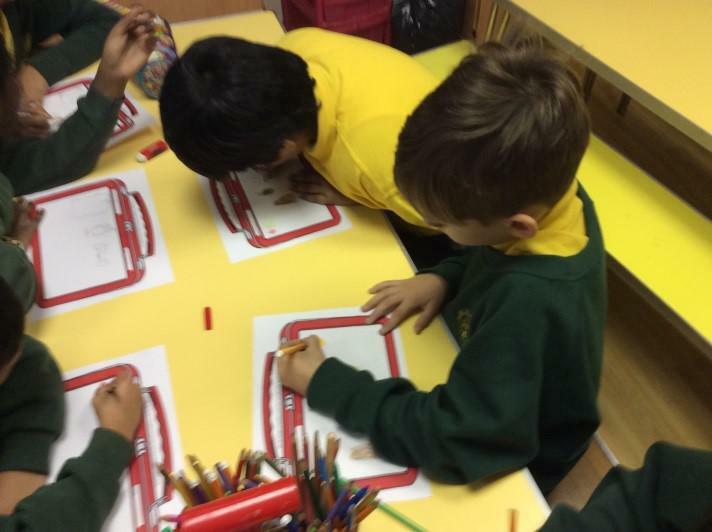 Keep up the good work KS1 C4L Club! 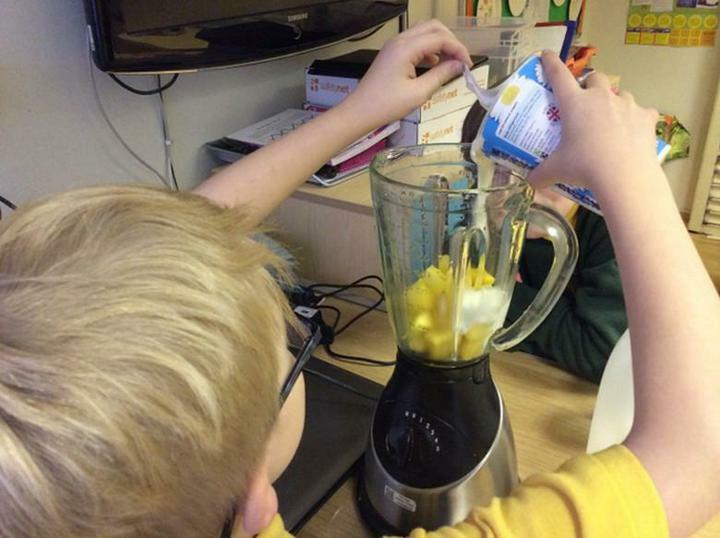 The Key Stage 2 Change 4 Life club have designed and created some wonderful healthy smoothies! 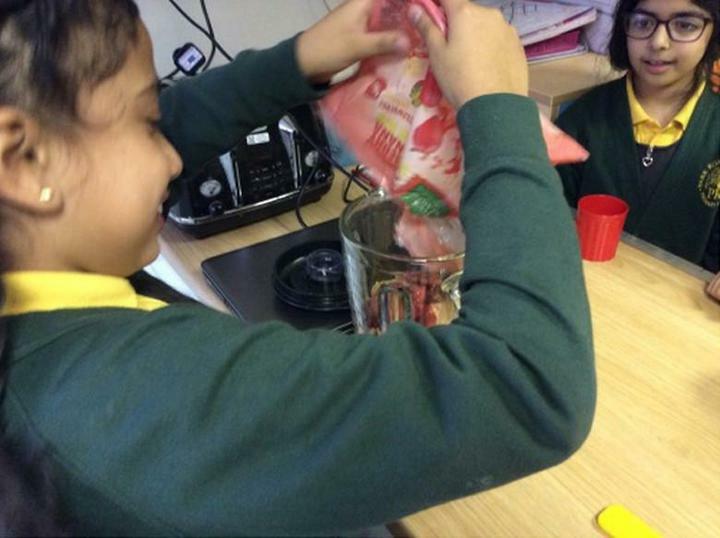 Once they learnt about the different food groups and what ingredients could be placed into a smoothie, they began to create and design them. 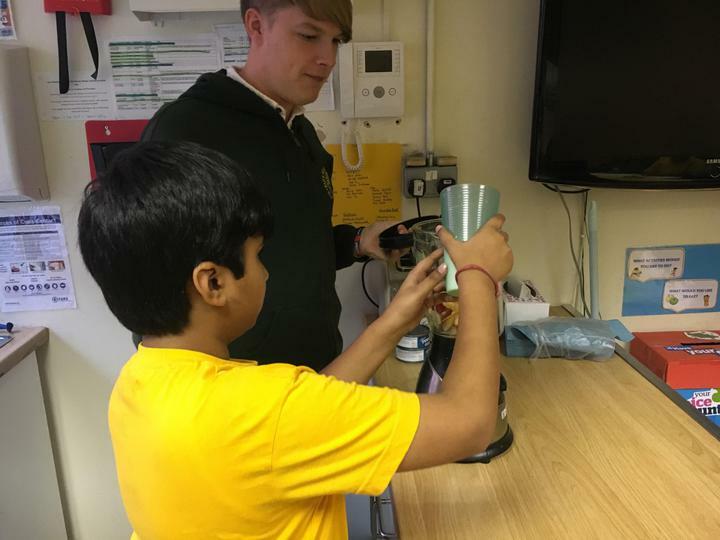 It was decided that the best smoothies included fruit or vegetables and have some dairy included in yogurt to help with digestion and of course taste! The children placed in the ingredients they chose before blending these together and tasting them. The children then reviewed each other’s smoothies and suggested areas for improvements and what they would perhaps do next time. 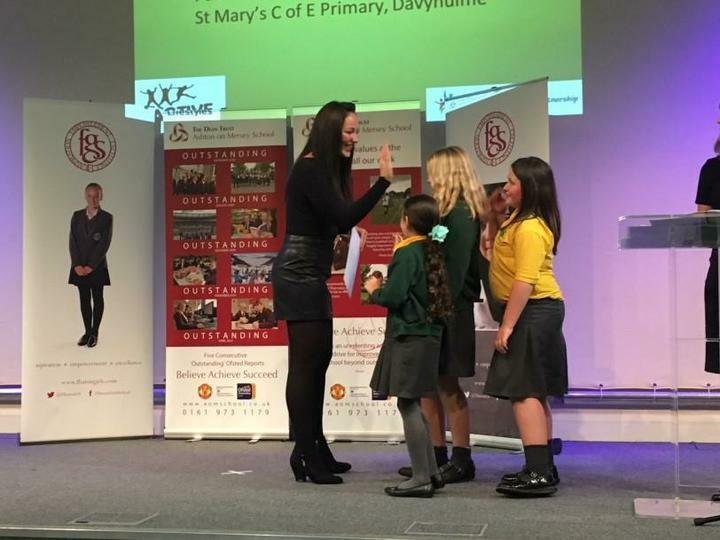 On Thursday 2nd November Park Road Academy attended the Trafford SSP Awards at the Life Centre in Sale. The evening was full of celebration and recognition for the hard work that children and school staff had put in throughout the year around a variety of special awards. The evening was also supported by Commonwealth and European Badminton medallist Jenny Wallwork. 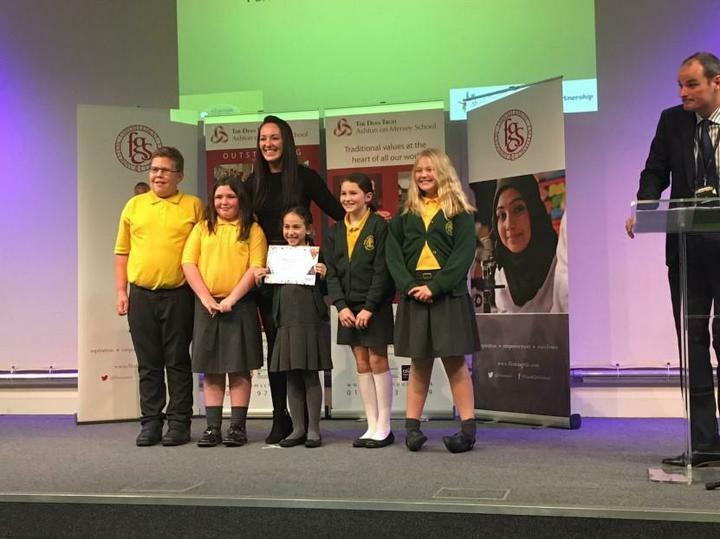 Park Road Academy had been nominated for two awards from the evening – Healthy Lifestyles Project of the Year and Change 4 Life Project of the Year. 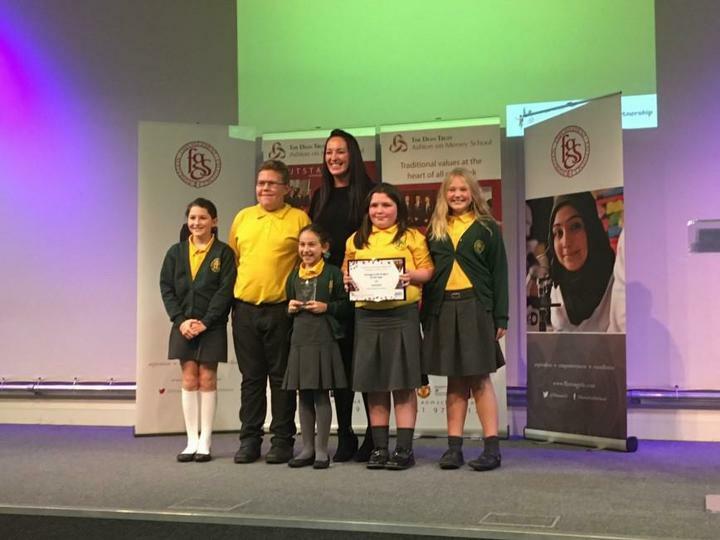 The school were very pleased to be to be highly commended for the Healthy Lifestyles Project of the Year and were thrilled to be announced as winners of the Change 4 Life Project of the Year Award. Huge congratulations to the children past and present that have been a part of the Change 4 Life club at Park Road Academy for the past two years. Well done! 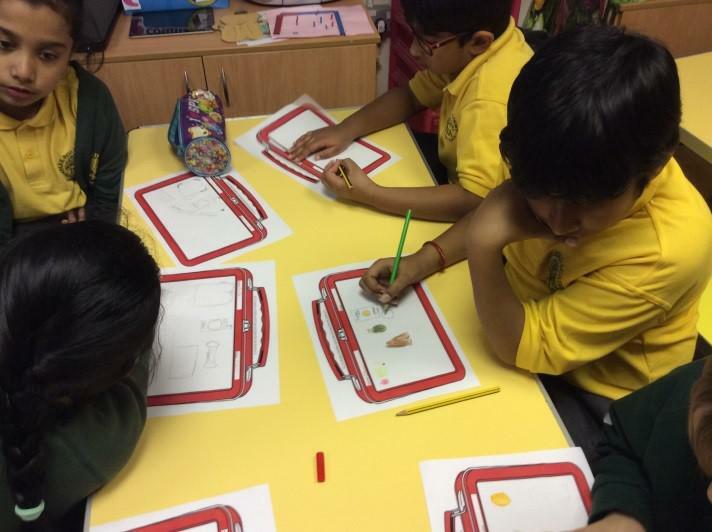 This half term our Change 4 Life children have learnt all about food groups. 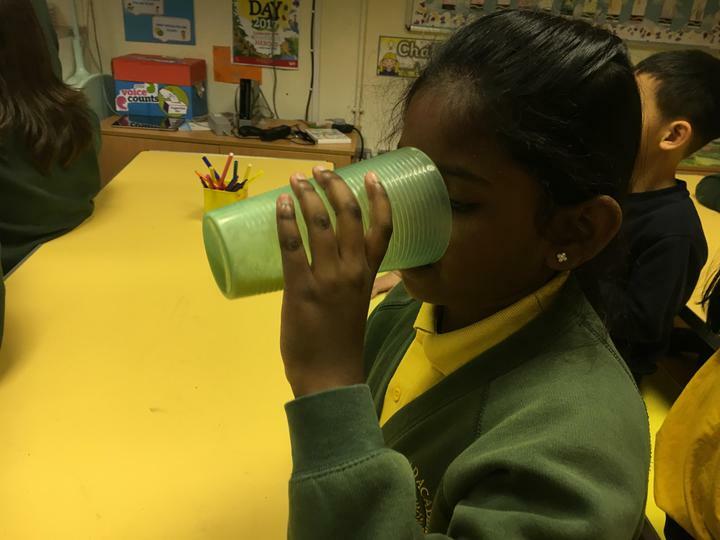 They have discussed and tried different balanced foods and learnt about the benefits they can provide to your body. 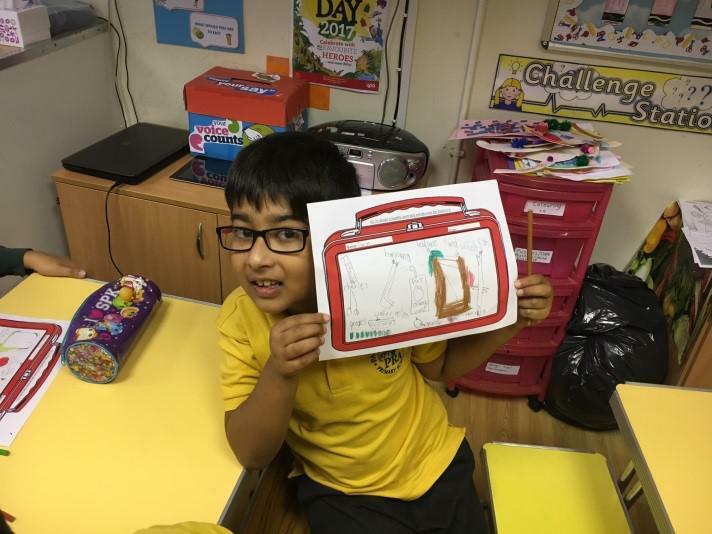 The children have also designed healthy and balanced meals and healthy lunch boxes with reasons as to why they have chosen that food specifically. 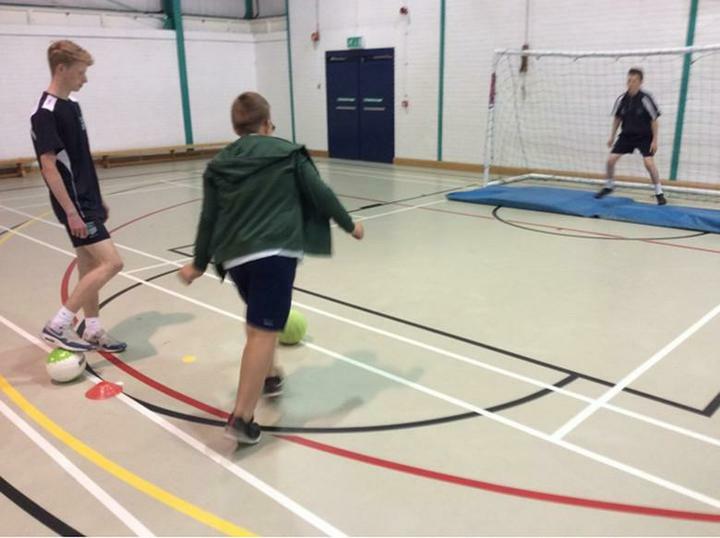 In Autumn 2015, Park Road set out on a mission to inspire children who felt disengaged from sport or that felt they would like to help the school spread the message of healthy lifestyles to their peers and classmates. 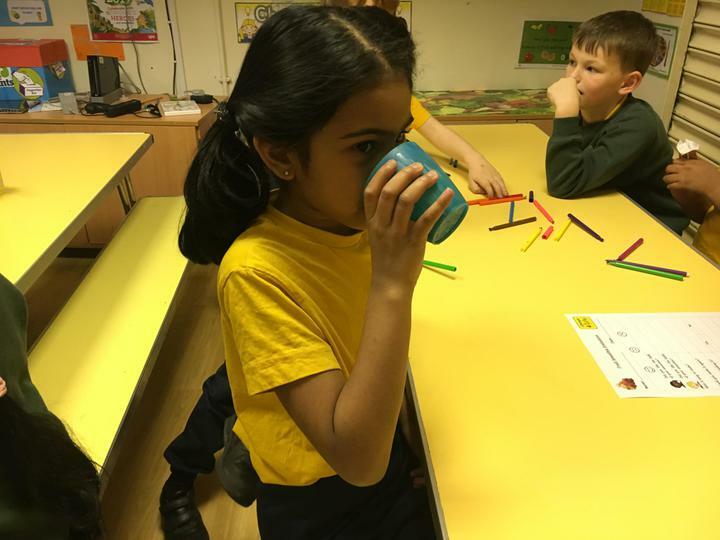 The Change 4 Life Club began meeting every week to discuss what decisions they could make with regards to their diet, what changes children across the school could make and how the food & drink we consume can affect us in different ways. 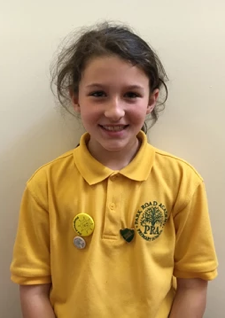 One of our Change 4 Life Champions was Katie in Year 4. Katie’s enthusiasm fo r food and drink shone through in each session and the message she wanted to represent grew louder and stronger. Within all of this Katie’s confidence grew within her own healthy lifestyle choices including sugar alternatives and ensuring a balanced diet. 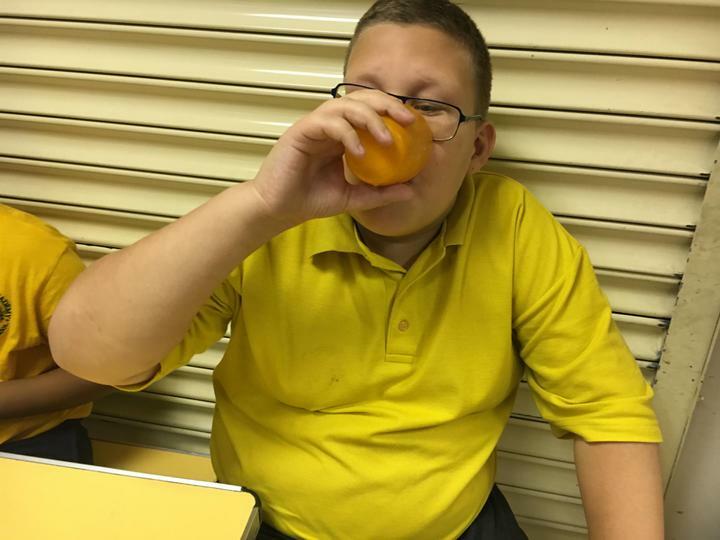 The C4L Club began to move onto other healthy lifestyle choices including physical activity and exercise. Topics covered included ‘How much exercise would it take in order to burn off different types of food or drink?’ and ‘How much exercise is needed for children?’ The social skills and confidence that Katie developed from this became a greater interest and in the summer term Katie was asked to be a Sports Leader for Year 4 and demonstrate various skills to her peers. 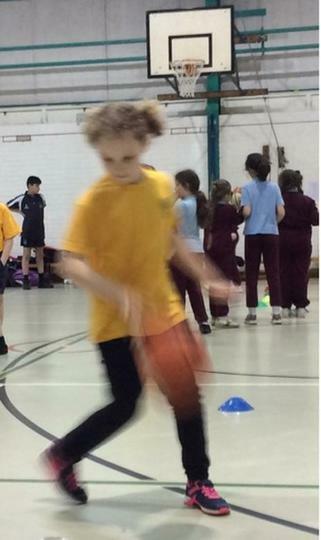 The techniques learnt in PE lessons and after-school clubs began to shine through clearly and at the beginning of Year 5 Katie began training for the Park Road Academy Girl’s Football Team and Netball Team. Katie was shortly recognised as a very compact shot-stopper and an excellent passer of a football before being chosen as first choice goalkeeper for the girl’s football team. She represented the team at the October Wellington Football Tournament helping the side finish 3rd at the event. 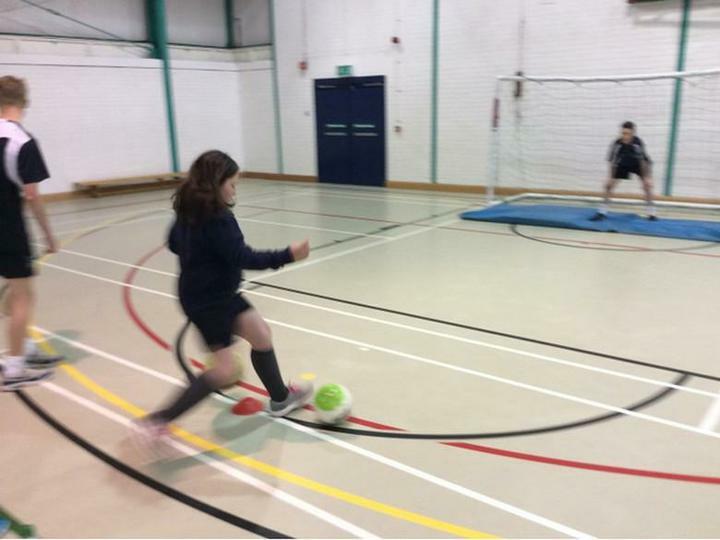 She has gone on to further this appearance by playing in goal for boy’s teams during training sessions and represent the school again at the Girl’s Football Altrincham Indoor Competition. 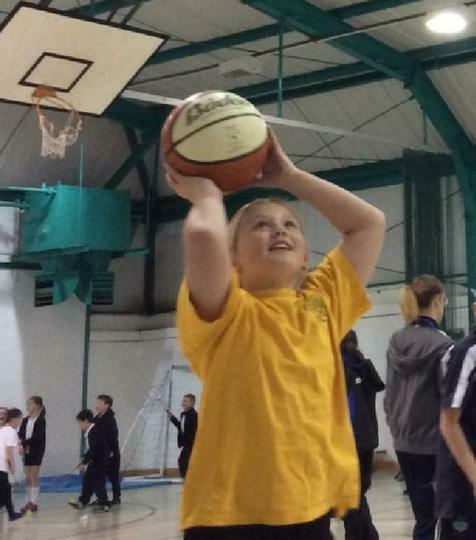 She hopes to continue her progress in healthy lifestyles & sport whilst continuing to spread the C4L message when she makes the move into Year 6. 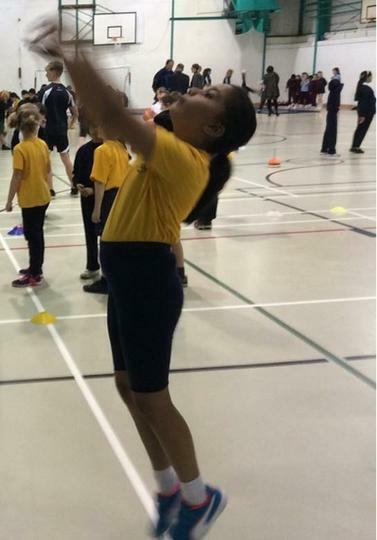 On Tuesday 24th April, the Park Road Academy Change 4 Life Club and its ambassadors went to Wellington School to take part in a celebration festival. 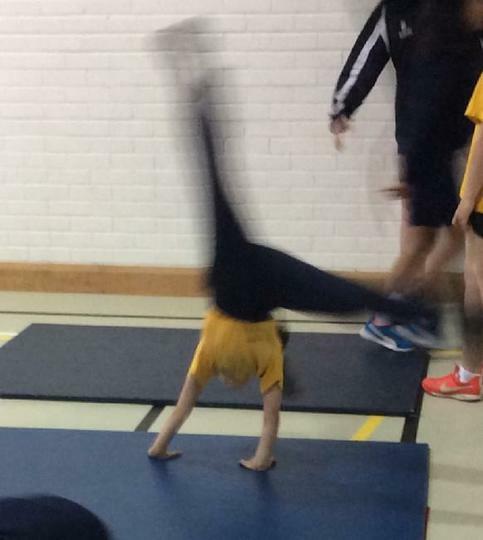 The children were able to try a host of different sports and activities throughout the afternoon. 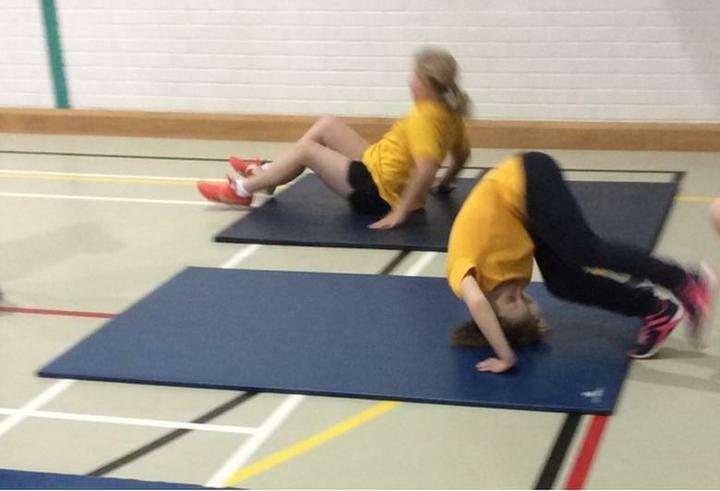 These included basketball, badminton, football, netball and gymnastics. 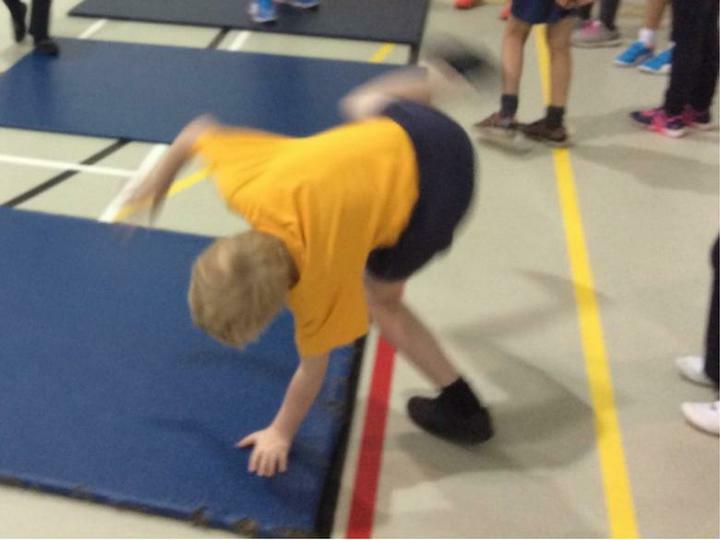 The children had to use a range of skills and techniques including coordination, strength, speed, agility and good communication during the event. Well done to all our Change 4 Life ambassadors who took part! 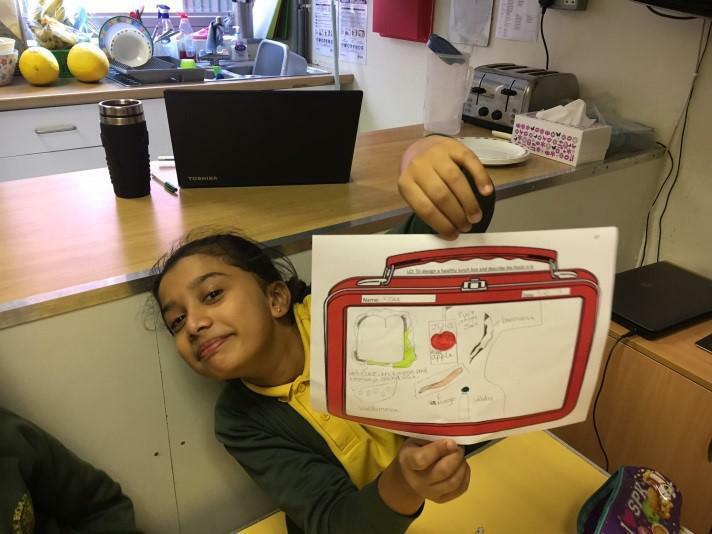 This term the KS2 children have been learning about making healthy choices within balanced diets and how this can affect their bodies in different ways. 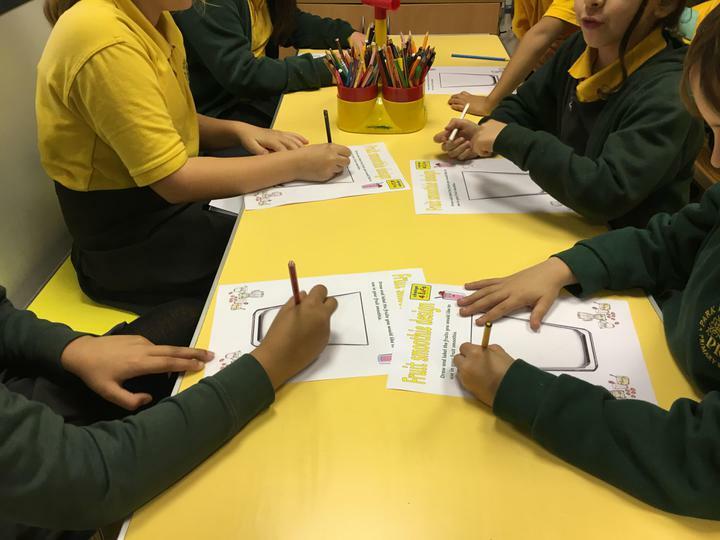 The children hope to spread the message as our Change 4 Life ambassadors. The children have also been getting more active outside with fun & enjoyable activities designed around improving coordination, strength, communication & social skills! 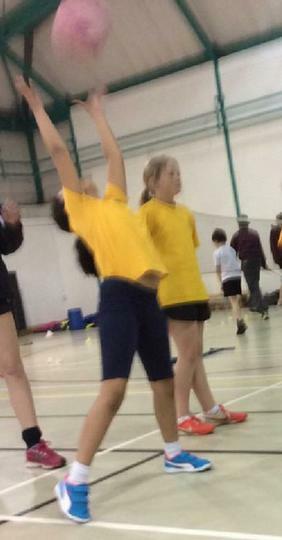 Some of our children have ambitions of representing the school in sports teams later on in their school lives. A wonderful attitude and goal to have for the future. Well done Key Stage 2 Change 4 Life Club! 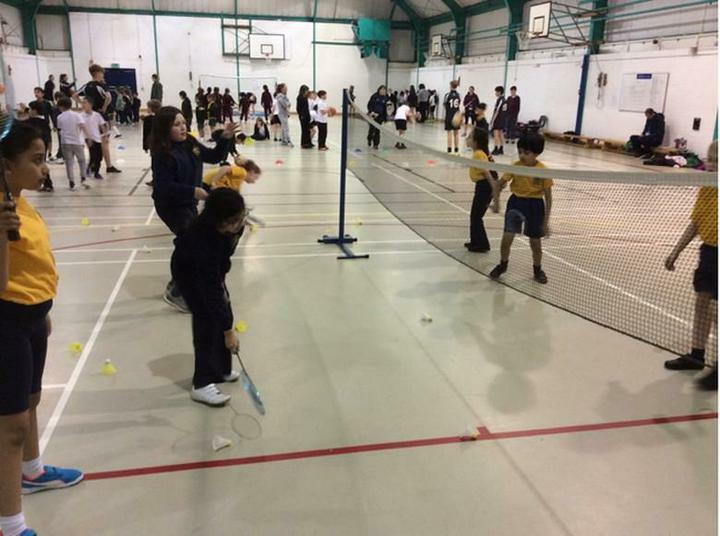 During the Spring half-term, the Key Stage 1 children have been getting outside and getting active. As part of our Change 4 Life club we have started to get the children outside doing fun games and activities that they could take home and do to keep healthy and active. We have been having lots of fun playing tig, various different races and letting the children create their own games to play. 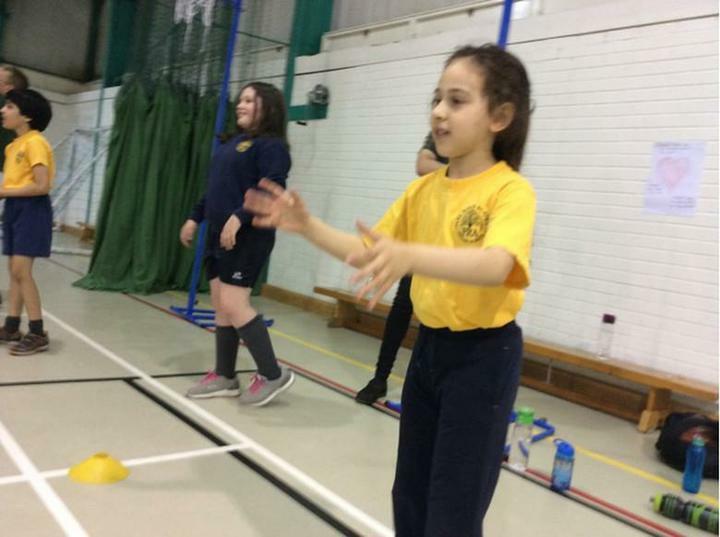 It has been a lot of fun extending the children’s knowledge of how they can keep themselves fit and healthy, at school and at home with very simple but very effective outdoor activities. 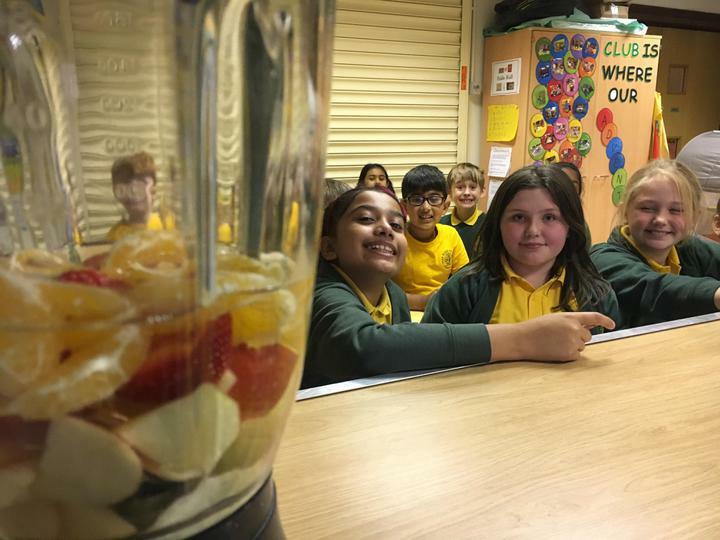 The Key Stage 2 Change For Life group have also created some wonderful healthy smoothies! 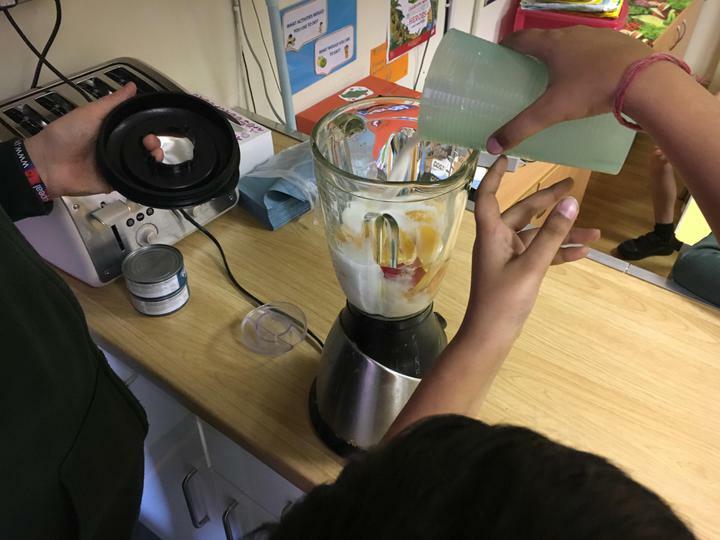 Once they learnt about the different food groups and what ingredients could be placed into a smoothie, they began to create and design them. 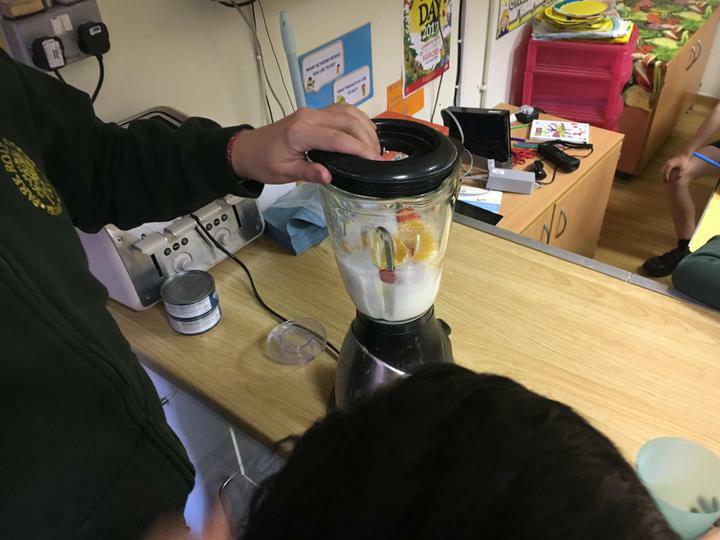 It was decided that the best smoothies included fruit or vegetables and have some dairy included in yogurt to help with digestion and of course taste! The children placed in the ingredients they chose before blending these together and tasting them. 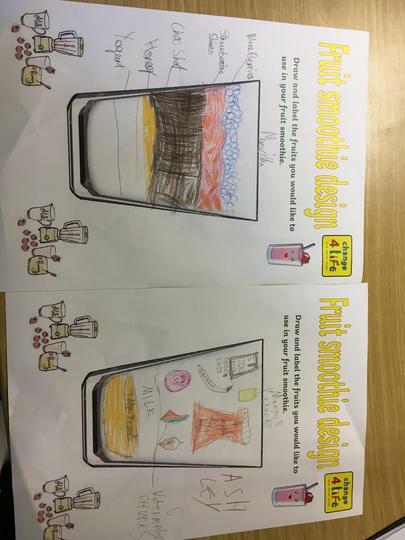 The children then reviewed each other’s smoothies and suggested areas for improvements and what they would perhaps do next time. 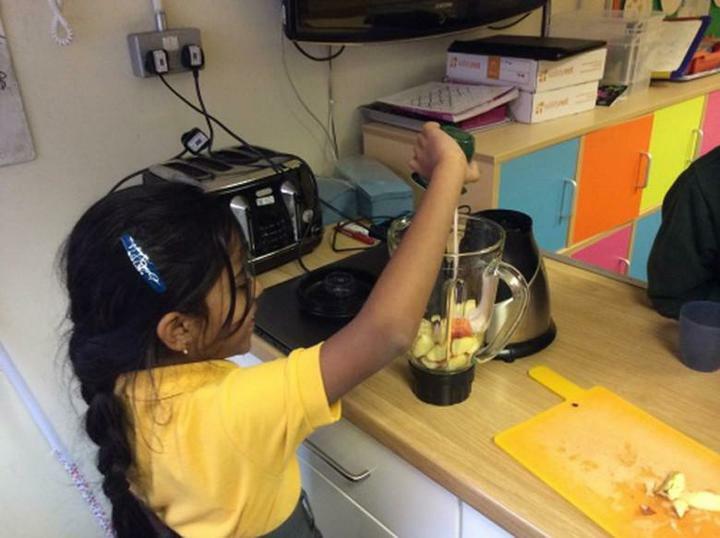 The Year 2 Change For Life group have created some wonderful healthy smoothies! 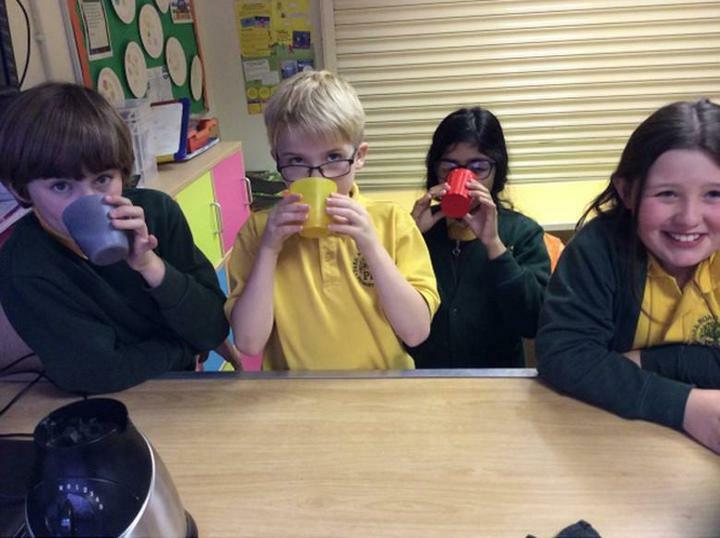 They first designed their smoothies after learning all about food groups and how we can eat a balanced diet. 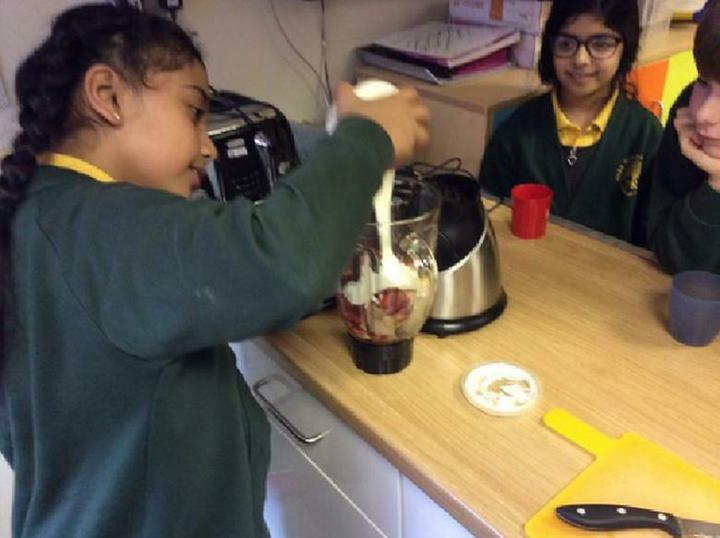 Once they were designed the children brought in healthy ingredients, blended and created their own smoothies. 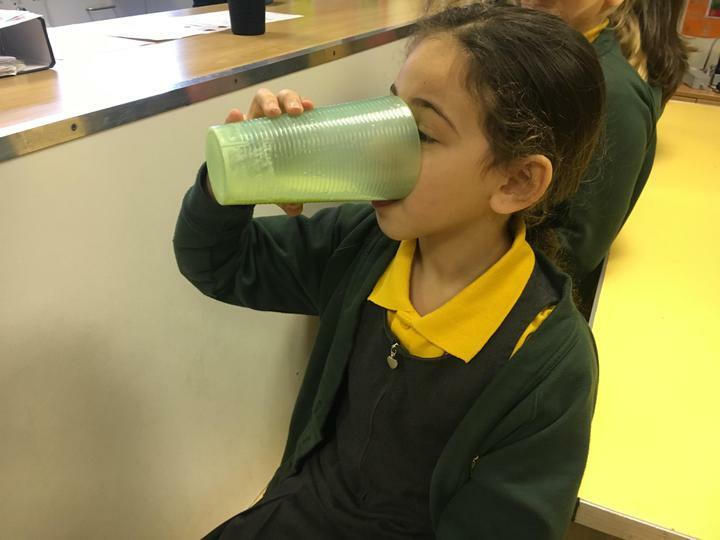 The children then tasted and discussed what they thought of the flavours and what the health benefits were of having a smoothie. 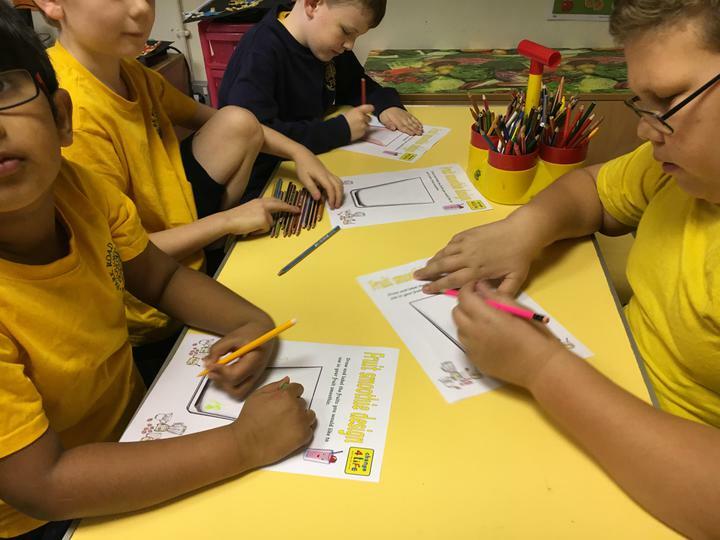 This week our KS1 children have started at our 2016/2017 Change for Life club! We have been learning about food groups and the different roles that these play in our diet and our lives. 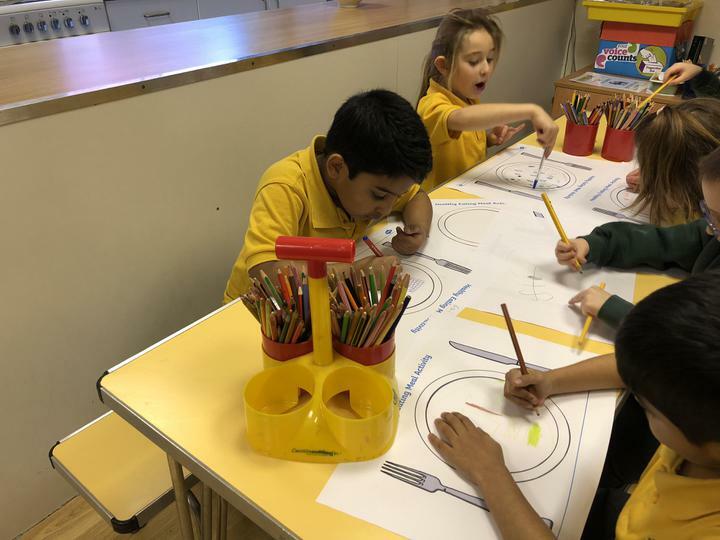 The children grouped different types of foods into groups, carbohydrates, protein, dairy, fruit & vegetables and fats & sugars. The children discussed what happens when we eat too little or too much of a particular food group. 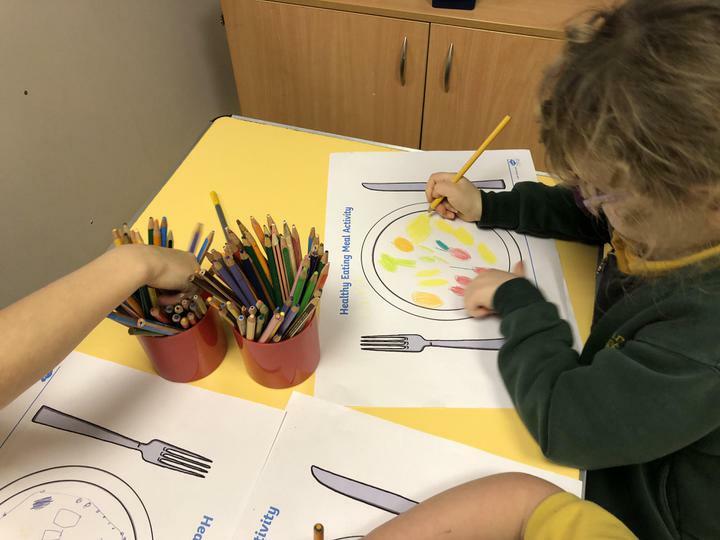 The children also designed their own healthy meal. They thought about what should be included, how much food there should be and the balance of all the food groups in a healthy meal. The group also had the opportunity to share their healthy meals with one another and explain why they had included certain foods. A wonderful start to promoting healthy and active lifestyles across the school with our Change for Life Champions!